Valentine’s Day is pending and there is no doubt that there is no better opportunity to use a bit of creativity and show your love for someone special! For those who like the cute, crafty and sweet things, try making your special someone peanut butter chocolate spread Valentine tarts. 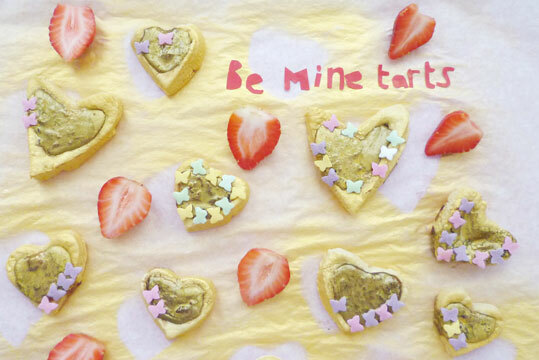 Decorated with heart-like strawberries on some pretty paper will make a very pretty edible gift! - Then sprinkle the surface with flour and roll out the pastry so that it is quite thinly but not too thin!